A few verses in the New Testament mention crowns of gold. However, we should not think that we will get a crown of physical gold. In New Jerusalem gold signifies the divine nature, the basic element of this city of resurrection life which shines with the glory of God. Paul assures us that we who run the Christian race will receive an incorruptible crown (1 Cor. 9:25). 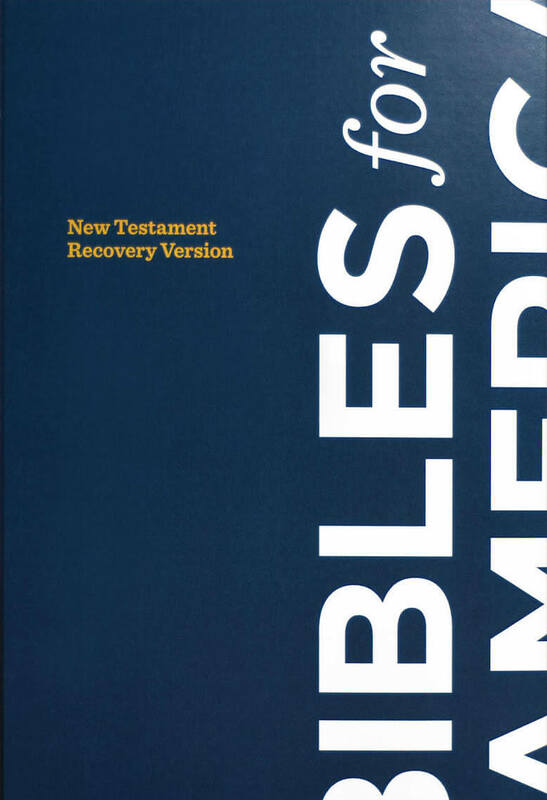 You might think that gold is incorruptible, but 1 Peter tells us otherwise (v. 1:18). The Lord Jesus was crowned with glory and honor (Heb. 2:7). Paul expected a crown of righteousness for himself and for all who have loved the Lord’s appearing (2 Tim. 4:8). James says that through trials we will receive a crown of life (v. 1:12). The Lord promises the same to the suffering church in Smyrna (Rev. 2:10). Peter tells the shepherds among God’s flock that they will receive “the unfading crown of glory” (v. 5:4). None of these crowns are physical but their spiritual natures all match New Jerusalem. The city will be on the new earth, “in which righteousness dwells.” New Jerusalem is a city of life with a river of life and tree of life. 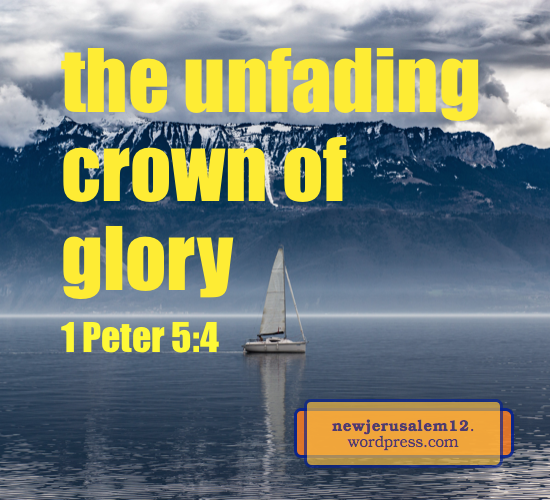 And it is a city of glory, the unfading glory mentioned by Peter. New Jerusalem will be the consummation of our experience of Christ as our our righteousness and our life, resulting in glory. His attributes are becoming, and in eternity will be, our crown. 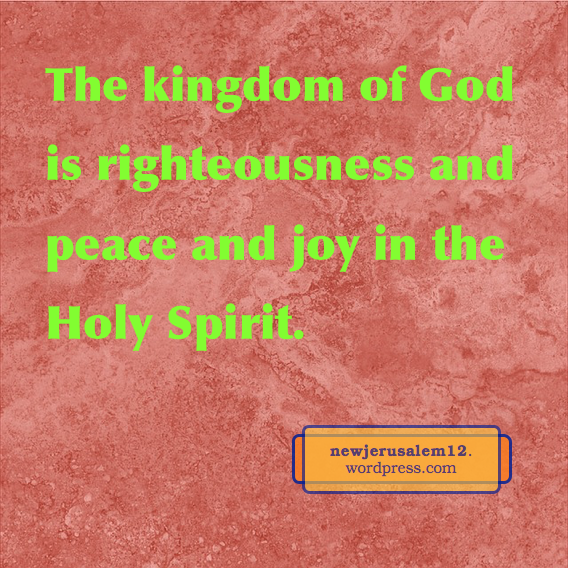 Romans 14:17 says, “The kingdom of God is not eating and drinking, but righteousness and peace and joy in the Holy Spirit.” Because New Jerusalem is the eternal kingdom of God, Romans 14:17 describes New Jerusalem. 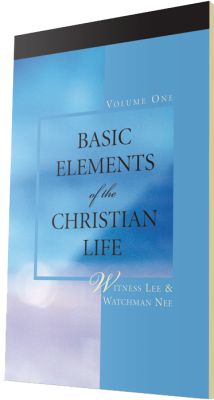 The first characteristic is righteousness. The beginning verses of Hebrews 7 say that Melchisedec, whose name means “king of righteousness,” is a type of the Son of God, who will be on the throne of New Jerusalem. The second characteristic is peace. Melchisedec is “king of Salem” which means “king of peace.” Several epistles begin with grace and peace to us “from God our Father and the Lord Jesus Christ.” In the New Testament peace is not merely external calmness nor lack of war; peace is Christ. “He Himself is our peace” (Eph. 2:14) now and eternally. 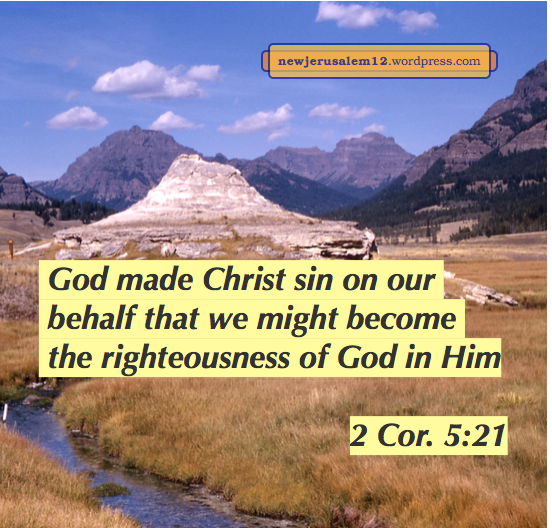 Jesus Christ within us is the reality of righteousness, peace, and joy both today and in New Jerusalem. Today these are inward; then they will be both inward and outward. When God created man (Gen. 1:26-27), He blessed man (v. 28) and said that everything was very good (v. 31). In Genesis 2 God’s desire was that man take God, portrayed by the tree of life, as his life. However, in Genesis 3 man fell and was shut away from the tree of life. In Genesis 6 God declared that man is flesh. Romans 3:20, “Out of the works of the law no flesh shall be justified.” This is in contrast to Peter’s statement that righteousness dwells in the new heavens and new earth. Romans 7:5, “When we were in the flesh, the passions for sins, which acted through the law, operated in our members to bear fruit to death.” This is in contrast to New Jerusalem and the new creation which have nothing of death. First Corinthians 15:50, “flesh and blood cannot inherit the kingdom of God.” This is in contrast to New Jerusalem which is the ultimate stage of God’s kingdom. Hence, flesh cannot and does not have any place in New Jerusalem. The flesh is the result of Satan as sin entering into man. The termination of the flesh is through the cross of Jesus Christ. His accomplishments on the cross are gradually applied in our being. The final step is Philippians 3:21, “Who will transfigure the body of our humiliation to be conformed to the body of His glory, according to His operation by which He is able even to subject all things to Himself.” The result: no flesh in New Jerusalem. 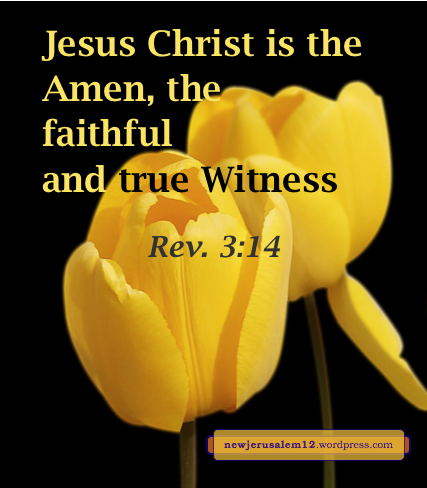 The testimony of Jesus is the spirit, the emphasis, of Revelation. Throughout Revelation Jesus Christ is carrying out God’s economy to develop His corporate testimony, which consummates with New Jerusalem. Revelation 15 to 18 is mostly judgments (ch. 17). Verse 17:14 says, “These will make war with the Lamb, and the Lamb will overcome them, for He is Lord of lords and King of kings; and they who are with Him, the called and chosen and faithful, will also overcome them.” Here again the Lord is declared to be the Ruler of the whole earth. In 17:14 He displays His victory. The victory is simple—the Bible gives no details of this “war.” The victory is simple because the war is extremely short, exactly like the war in 19:19-21. It is short because the Lamb is the overcoming and almighty Lion (5:5). The ultimate result of these victories is a new creation, with New Jerusalem, in which righteousness dwells (2 Peter 3:13). Verse 17:14 also says, “they who are with Him, the called and chosen and faithful, will also overcome them.” The faithful believers with the Lamb overcome all the opposers, as also in chapters 12 and 19. These believers participate in the Lamb’s victory. Certainly in New Jerusalem we will all love the Lord and keep His word absolutely, but we need to be perfected now. Lord, grant us more love for You and Your word every day; form Yourself as the faithful One in us.